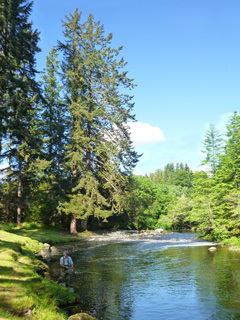 Through SalmonQuest we have extensive access to salmon and sea trout fishing on the private rotation beats of the Novar Fishings on the River Alness. Subject to availability we can offer you anything from a single rod for the day to a full 4-rod beat (or more) for a week. We can also offer GAIC-qualified salmon casting instruction and guiding, or the services of a ghillie. For a summary of the River Alness, view the page from the drop down menu. Through SalmonQuest we occasionally have access to salmon fishing on the private beats of the lower River Conon, which has earlier spring salmon and summer grilse runs than on the Alness. In the spring, permits for individual days are often possible, though this gets more difficult as the season progresses. 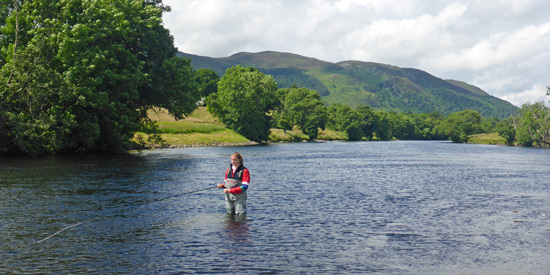 In spring months in particular, we are sometimes able to arrange salmon fishing on other rivers including the River Carron, Beauly, Ness, Moriston, Oich and Findhorn, and occasionally we offer packaged Spring Salmon Short Breaks based on one of these rivers.